Made with stretch neoprene and a unique heating element design, Warm ‘n Go Deluxe stretches and contours to fit any shape bottle – even tapered ones, to warm quickly and evenly. 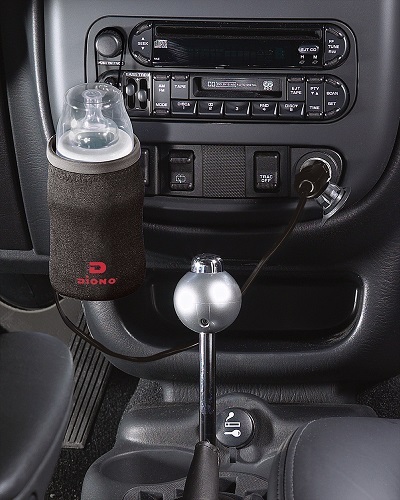 Convenient design fits cup holders or hangs from the dashboard. Features include a power indicator light and a thermal fuse to prevent overheating. Works up to 50% faster than others. Plug it in to any 12V socket to warm food and bottles as you drive.